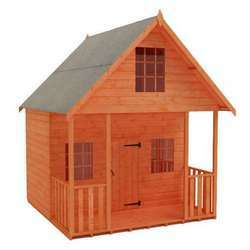 Two floors of fun and mayhem in the Tigercub Magic Mansion will keep the kids engrossed all weekend. 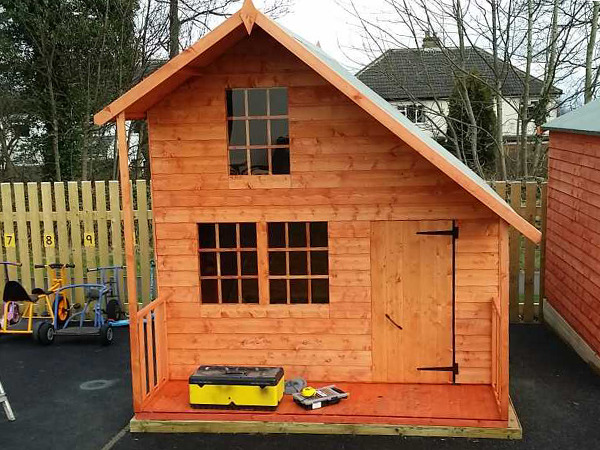 Packed with fun but also designed and built with the safety and wellbeing of children in mind this model is a winner for everyone. 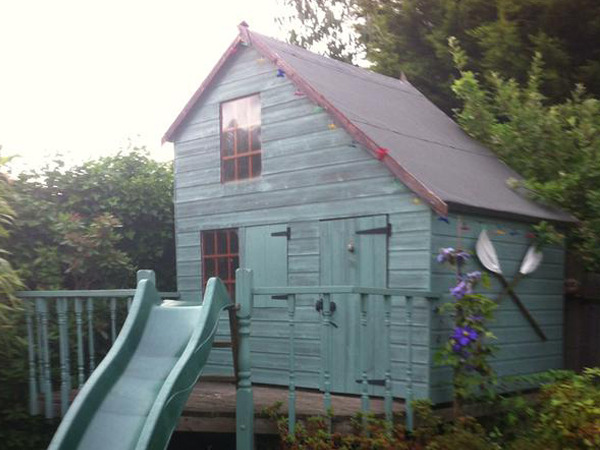 Two floors of fun and mayhem in the Tigercub Magic Mansion will keep the kids engrossed all weekend. 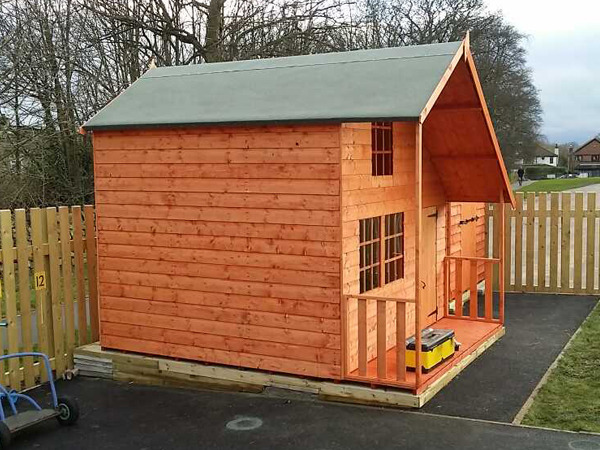 Packed with fun but also designed and built with the safety and wellbeing of children in mind this model is a winner for everyone. 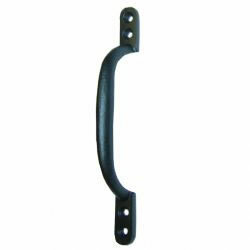 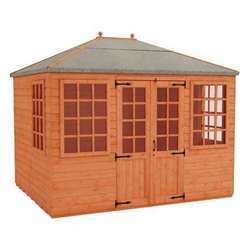 The safety of this popular model is emphasised further by the inclusion of Georgian style safety windows and ultra safe hinges with rubber protection. 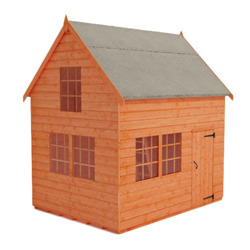 Built with endurance and longevity in mind this product will last for years to come; the tongue and groove shiplap cladding is robust and secure, protected with a factory treated weather resistant basecoat preservative and the heavy duty green mineral felt covering protects all inhabitants from the elements. 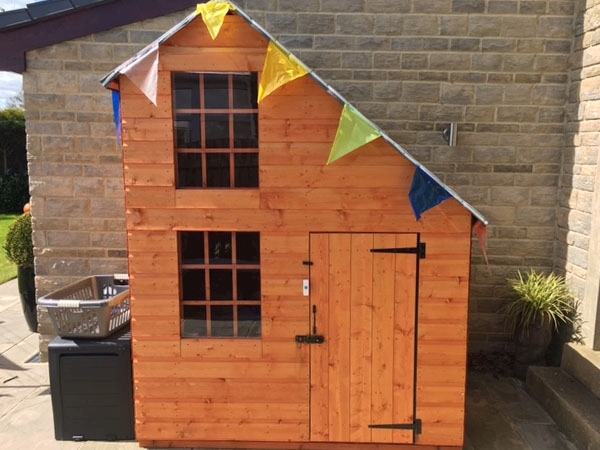 THIS 2 STOREY WOODEN PLAYHOUSE is clad with high grade 12mm finish shiplap tongue and groove cladding – beware of buildings that feature poorly finished rough edged boards milled out of inferior timber often with a thinner finish. 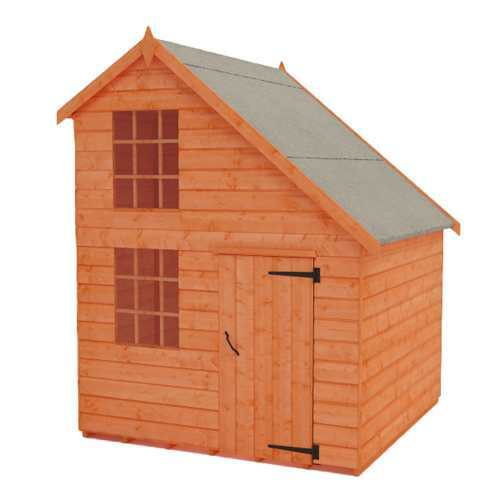 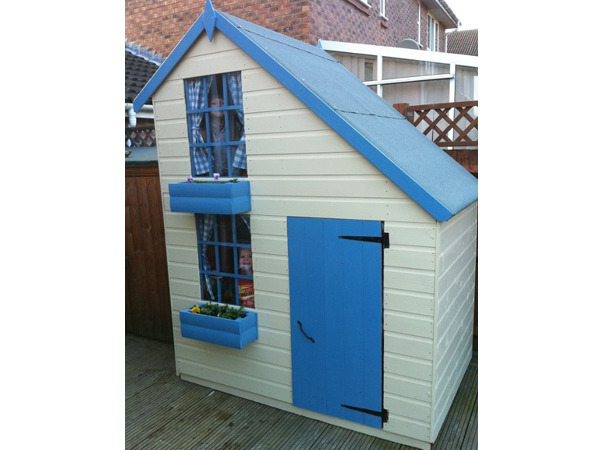 THIS 2 STOREY WOODEN PLAYHOUSE features heavyweight ‘rounded 4 corner’ 28x44mm finish framework throughout giving it the strength to last – beware of buildings that use rough sawn ‘matchstick thin’ framework that barely hold the building together. 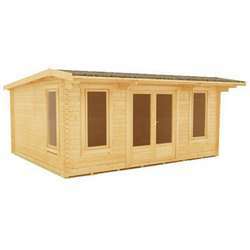 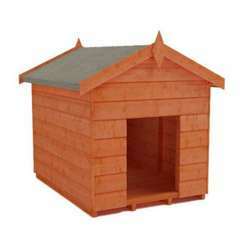 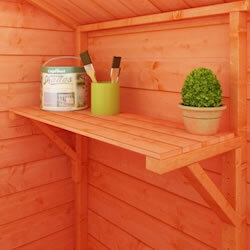 THIS 2 STOREY WOODEN PLAYHOUSE features thick tongue and grooved floorboard in the floor and roof sections and contains NO cheap sheet materials such as OSB or chipboard – beware of buildings that use single piece OSB / chipboard roofs that offer little protection in the areas where you need it most. 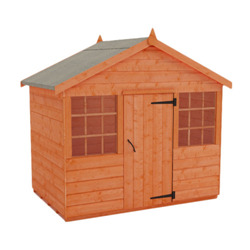 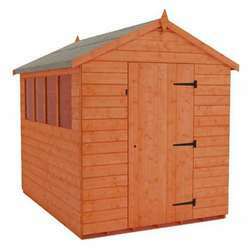 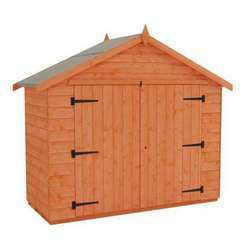 It is essential that this 2 Storey Wooden Playhouse is assembled strictly in accordance with the instructions supplied on a firm and level base constructed from a suitably durable material. 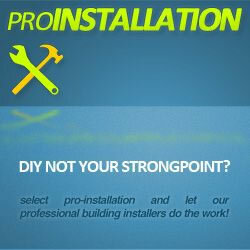 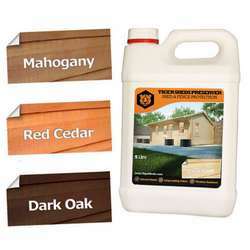 It should also be treated shortly after assembly and then annually thereafter with an appropriate high quality preservative and all glazing units must be sealed, inside and out, with silicone or other water tight sealant. 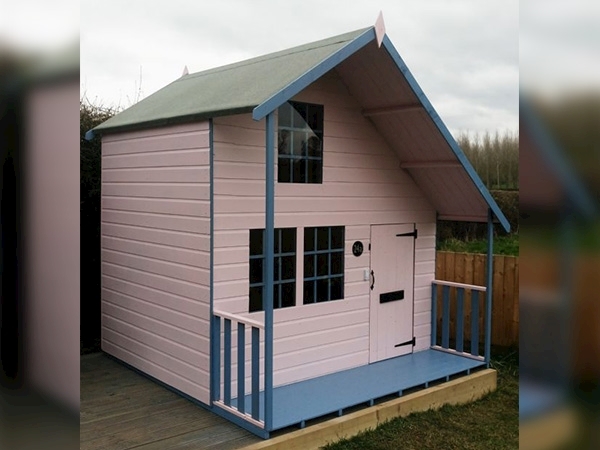 One of the UK's leading manufacturers of Children's playhouses the Tigercub brand taps into the imagination of youth with a wonderful range of unique and exciting products. 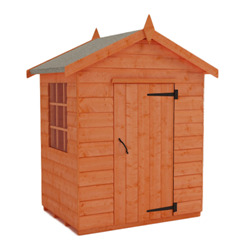 Fresh, Fun and incredibly Safe all Tigercub Playhouses are designed for children who love to get outdoors and play!